It is with great pride that we would like to congratulate our newest fully certified firefighter, Christian “Bull” Montero! Chris moved here from New York City in 2013, became a certified mechanic, and went to work at a local auto shop. 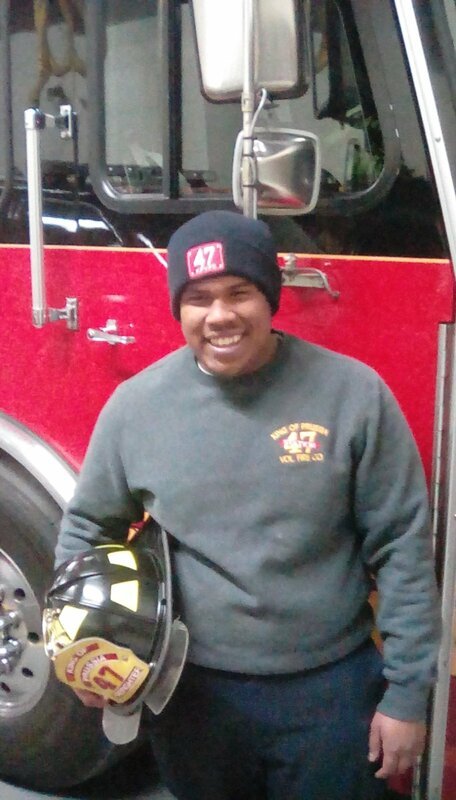 He then wasted no time in joining the King of Prussia Volunteer Fire Company and set to earning his Firefighter I via the Delaware County certification program, completing 178 hours of education in under half a year of night and weekend classes. A very active member, Chris has no intention of stopping there; with advanced rope rescue and EMT classes in his sights, we have high hopes for this hardworking addition to the company!